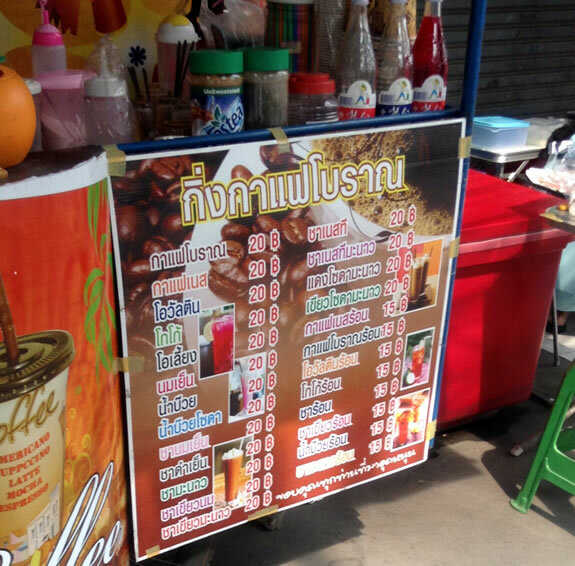 Thai on the street | Thai Language Learning Blog "SANUKMAAK.com"
You can see many types of coffee at this kind of small shop in Thailand. Let me introduce two items among them. Thai people like this sweet coffee very much. But it is too sweet for me!! 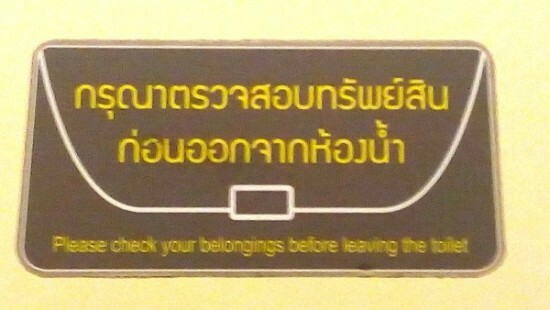 This signboard is in the BTS station. Can you read this? 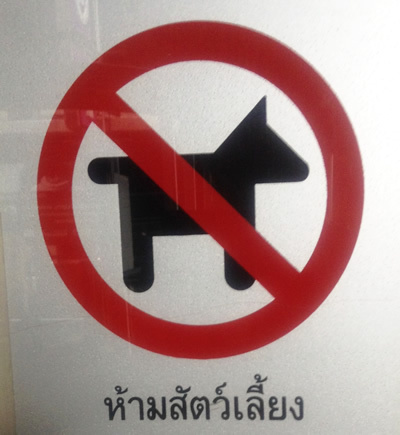 This signboard is important for tourist not only for long stayer in Thailand. Can you read this? 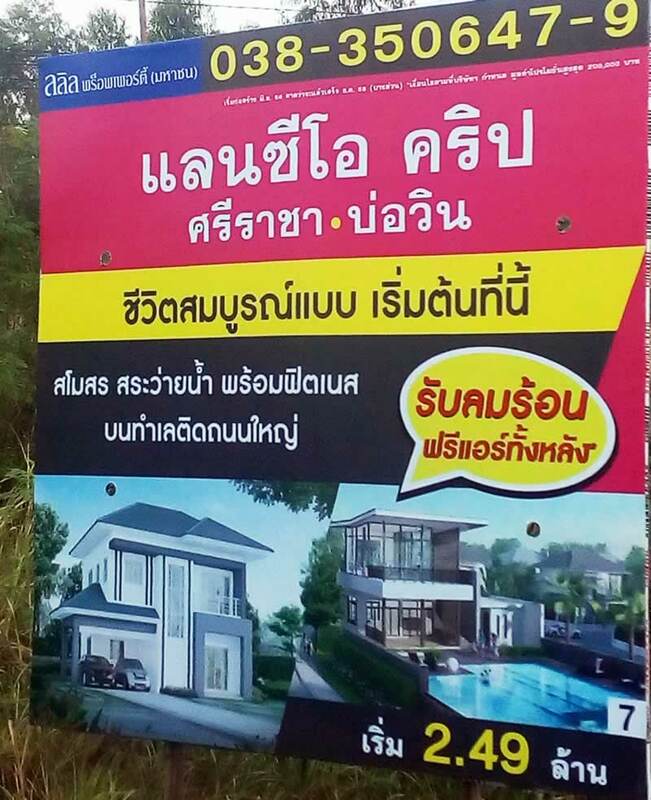 You can frequently see this word on the signboard of sales of real estate. 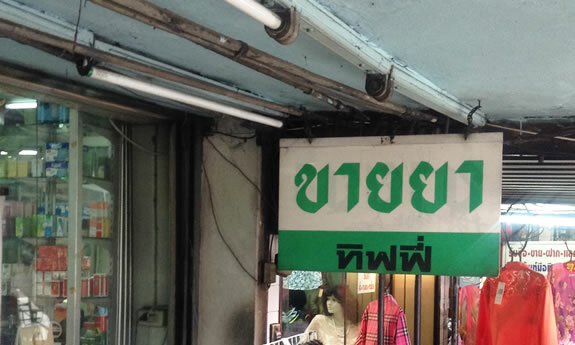 The opposite word “buy” is “ซื้อ“(sɯ́ɯ).